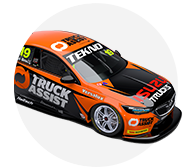 The Virgin Australia Supercars Championship heads to uncharted territory for the second time in as many events this weekend. 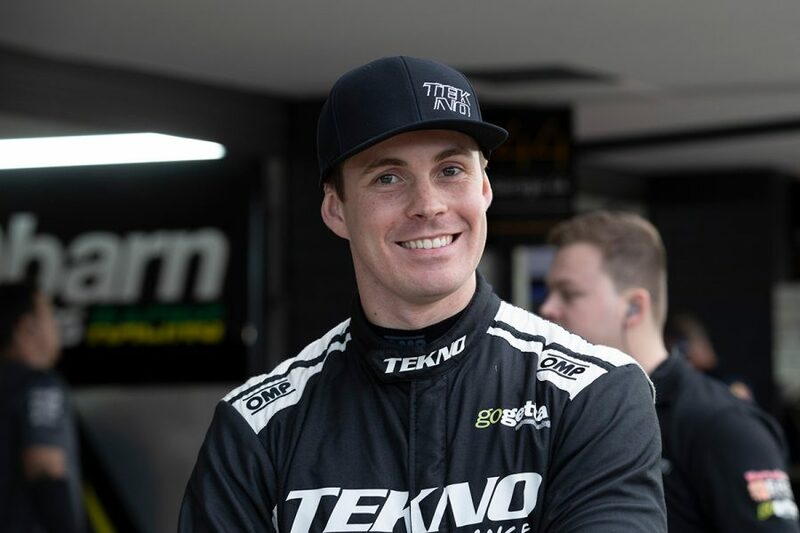 Following the return of night racing in Sydney earlier this month, The Bend Motorsport Park is hosting its maiden Supercars event. South Australia's newest venue is located an hour from Adelaide and boasts a variety of configurations. 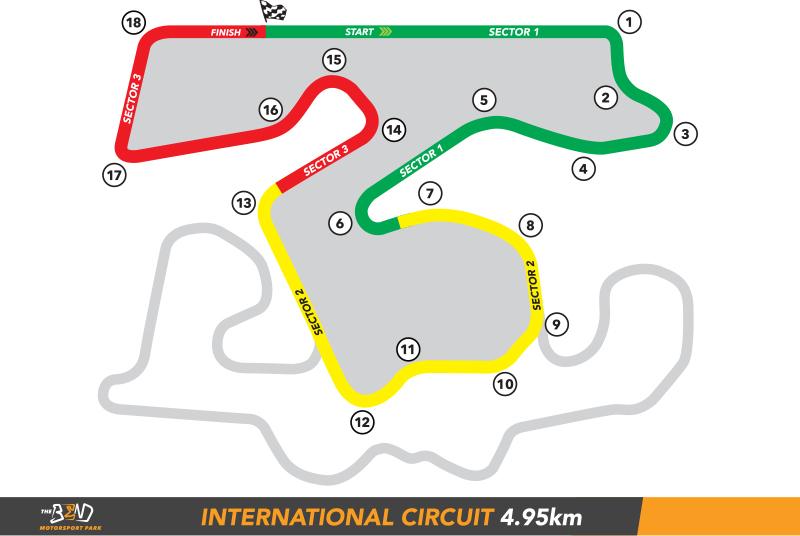 Drivers will tackle its 18-corner, 4.95km International Circuit this weekend, with a top speed of 270km/h and average speed of 162km/h forecast. 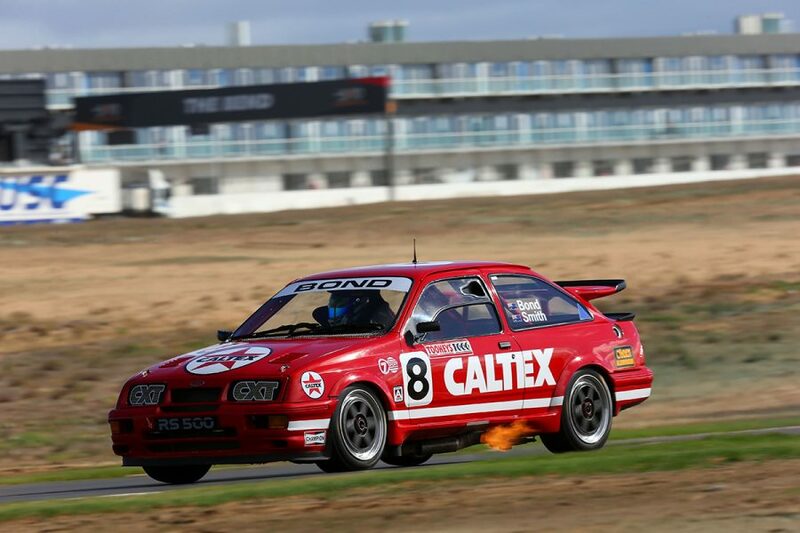 Tekno Autosports rookie Jack Le Brocq was The Bend's very first race winner, driving a Group A Ford Sierra in Heritage Touring Cars back in April. 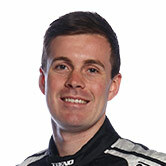 Le Brocq, also the lead rookie in this year's Supercars standings, is your Hino Hot Track guide. It's a cool place. 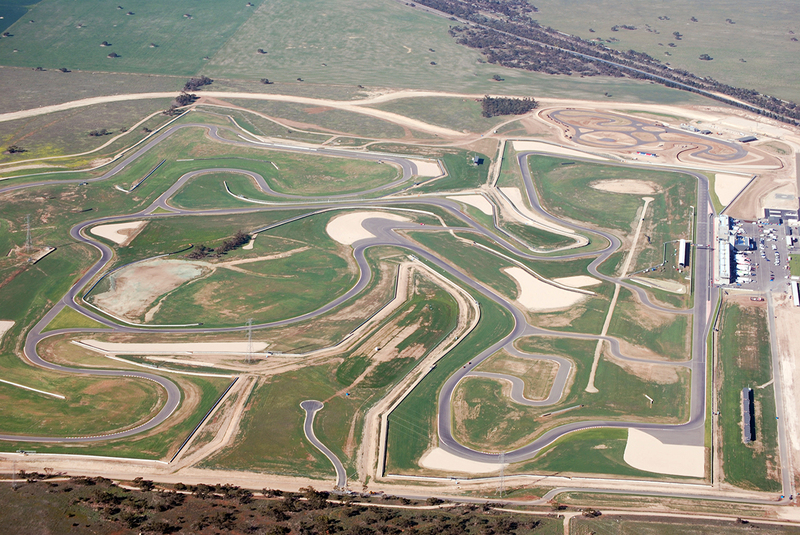 It's a big circuit, quite long and wide, quite smooth and it's got a mixture of everything in terms of corners. It's got a fair few flowing corners, including through the left-hander at Turn 6 and then 7-8-9 around the right-handers that flow down the hill. Through that area, it's going to be quite interesting. You're up on the rise, then it starts dropping down the hill. There's a whole lot of undulation going on throughout the whole circuit. Even looking at a track map, the profiles of some of the corners are quite different to what you'd see on a flat piece of paper, in the way they've got a fair bit of banking and camber. They've done a good job designing it and it's quite different compared to what we've driven before, and the way we're going to have to approach it. When you rock up to the circuit and see how flat the area around it is, it's quite surprising when you get out there on track and realise how much it does go up and down. That undulation definitely spices it up a little bit and gets the cars moving around in certain areas. Especially that long right-hander with three corners in it; there's going to be a fair bit of understeer off the top and then it should load up and start rotating quite well down the bottom, where it dips down. From that point of view it's going to be quite cool. And it's one of those circuits where each corner matters; there's 18 corners in total and none of them are flatout, sort-of-nothing corners. You're going to have to drive the car through most of them. In qualifying, with that many corners, it's going to be quite easy to make a mistake when you're trying to get 110 percent out of it. No-one's been there properly in a Supercar, so it'll be interesting to see how it all plays out, who can do the best job qualifying the car. I'm hoping it's a good circuit for racing because there are quite a few spots where you can have a switchback and stuff like that as well. The little Sierra I drove there back in April's got no aero and a little tyre and a whole lot of grunt, so it was moving around a whole lot, which made it pretty exciting. I'm sure it's going to be pretty good in a Supercar as well. I'm looking forward to getting out there and having a crack. It's one of those difficult things with a new track, no-one's really 100 percent sure what the place is going to be like with our cars and tyre. The circuit's got so many types of corners that it's probably going to be one of those places where you see some cars better in some areas and other teams chasing, between low-speed and medium corners and high-speed. It's a big day on Friday, for sure, trying to understand what's going to be the best in terms of lap time through practice. I'm sure you're not going to have a pretty car for the whole lap. With the circuit being so long and having so many different variables thrown in there, it'll shake it all up. It'll be a pretty cool challenge. We've got access to a little bit of footage and some data from some other people to look at before we go there. We'll be able to work through that and understand as much as we can from those different types of vehicles and try to adjust to that as well.